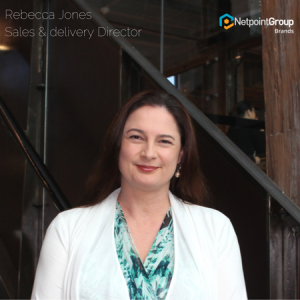 Rebecca Jones is Sales and Delivery Director for NetpointGroup as well as Co Founder of Boat Deck and Yacht and Boat. Starting her first IT based companies over 20 years ago she still finds the industry to be constantly evolving, exciting and interesting. She finds it rewarding to assist her clients grow their businesses by utilising the online space and leading her teams of web developers, graphic designers, and project coordinators. On average her teams delivers between 16 and 35 sites, ranging in technicality and total delivery time, per month. Rebecca is dynamic and skilled speaker and educator. She has traveled around Australia speaking at tech at marine industry conferences for 5 years as well as delivers training to our clients in the form of workshops and 1-on-1 training sessions. She is the primary director in delivering ongoing training to team members internally. Rebecca works on regulating and improving our project management work flow to continue delivering first class websites to our clients. Rebecca has a daughter Isabella , a new little puppy Tilly, and her husband Ben who she works closely with as Managing Director. They live on the Northern Beaches and love living near to the water. Posted in Agentpoint News, Agentpoint News, News on 5 Sep, 2017 by Ryan O'Grady. « Previous: How we monitor our systems to ensure high performance and reliability..